Read The Hunger Games and didn't know Rue is black? You lack reading comprehension. Saw the movie and were sad she is? You are RACIST. Recently, Jezebel posted an article about so-called fans of The Hunger Games, who tweeted their immense disappointment in the movie "making" certain characters black. There are two things that are clear about these "fans": (1) they either never read the books [let's face it, they probably can't read very well] or lack even the most basic reading comprehension; and (2) they are racist. Period. Number two is probably true, even if number one is not. I have ADD, yet still picked up on the descriptions of Rue and Tresh, the tributes from District 11, and knew they were black, partially black, or possibly of Middle Eastern descent. You can find the exact passages in the Jezebel article [or, you know, the book], but the short version is, they are described as having "dark" skin. 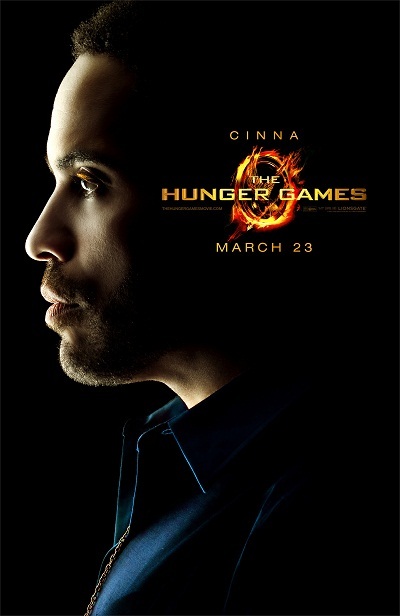 Cinna is never physically described in the book beyond his gold eyeliner, so I never could determine what he possibly looked like; I wasn't even sure of his sexual orientation. However, after seeing Lenny Kravitz [who, BTW, just like the actress that plays Rue, is biracial, having a black mother and a white father] as Cinna, he seemed perfectly suited for the role. Some readers have expressed real frustration that white actors were cast in the roles of Katniss and Gale, who they felt were clearly described as biracial in the book. Do you understand or share any of that dismay Suzanne? SC: They were not particularly intended to be biracial. It is a time period where hundreds of years have passed from now. There's been a lot of ethnic mixing. But I think I describe them as having dark hair, grey eyes, and sort of olive skin. You know, we have hair and makeup. But then there are some characters in the book who are more specifically described. So will those roles go to black actors? GR: Thresh and Rue will be African-American. It's a multi-racial culture and the film will reflect that. But I think Suzanne didn't see a particular ethnicity to Gale and Katniss when she wrote it, and that's something we've talked about a lot. She was very specific about the qualities that these characters have and who they are as people. Having seen Josh and Liam and Jen perform these roles, that's really the most important thing. They're very much the characters to us. Sorry, but if you get so upset that a character in a movie is black, simply because you never envisioned them as black, you are racist. If you can't see Rue as the kind, angelic figure she is in the book because of the color of her skin, you are racist. 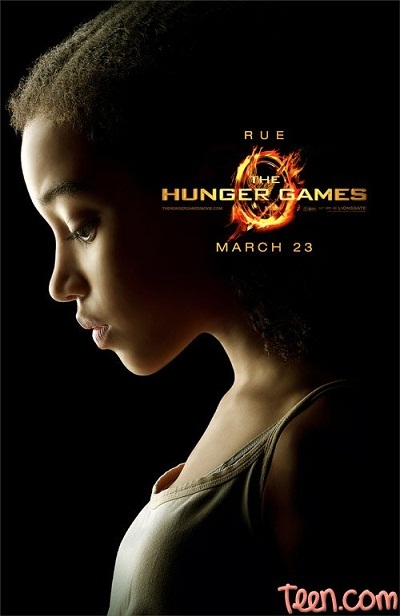 [As an aside, when I saw the movie poster for Rue, I thought the young girl they chose to play her was a perfect representation]. If you think a Utopia centuries in the future is comprised of only white people, you are racist. If you think three black characters out of an entire movie cast ruins a movie for you, you are racist. If you felt compelled in any way to tweet or comment on the racial demographics of the movie at all after seeing it, rather than the movie itself, you are racist. There. Have I made it clear enough? Pictures courtesy of MovieFanatic.com. See all of their Hunger Games posters here.